The way to become one with the universe is to trust it… Join us on an adventure of reconnecting to your senses and the world around you. In our Full Moon Kayaking Adventure, we will explore the experience of moving along the river guided only by the light of the stars and the moon. Feel all your senses come alive as you listen to the sounds of nature around you and gaze upon the stars in the sky. Our journey will start at Brant Conservation Area, where we will park our vehicles and get geared up for our adventure. We will then be shuttled to our start location of the Nith River, located behind Wincey Mills in Paris, Ontario. We will allow our eyes to naturally transition to the sunsetting, and have a safety briefing. Once everyone is comfortable on the water, we connect to and become one with the beauty of nature around us. Your guides are close at hand, to ready to give you awareness of the star constellations, and nature surrounding you. Halfway down the river, we will connect once again with the land to take a moment to reflect and star gaze. Once we have returned to the calm waters of the Grand River, we will silently drift on the water. We’ll end at Brant park as new people. Leaving the River behind, but taking a small piece of it with us. We recommend having at least one kayaking tour in the daytime before experiencing this joyful immersion in the moonlight. 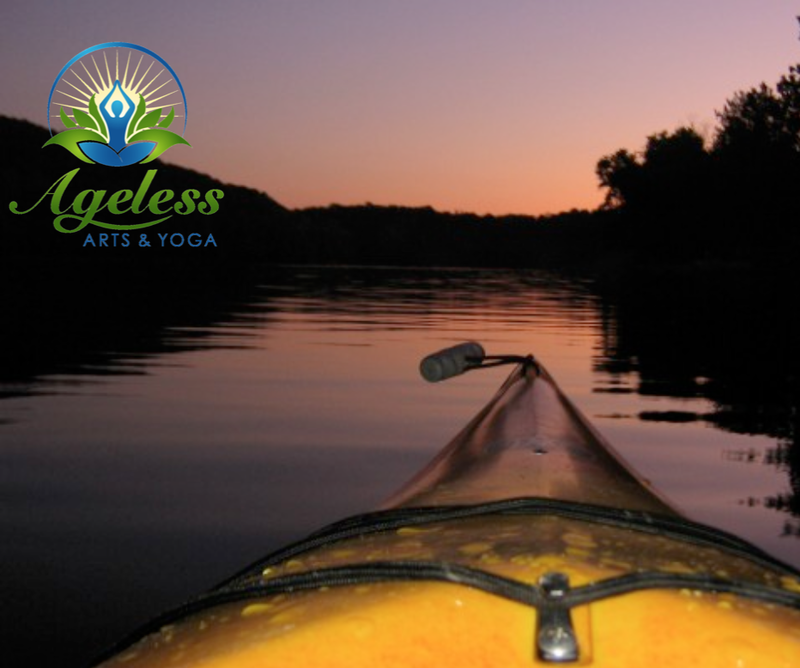 Night time paddles on the water offer inner and outer peace and a fresh, mindful approach to kayaking, yoga & meditation. PRIVATE BOOKING AVAILABLE UPON REQUEST. Includes kayak, paddles, life jackets, safety kit, dry bags, yoga & meditation. Also included is your return shuttle to your vehicle. Please arrive on time to catch the bus to our kayaks. In order to stay in the present moment, we are not including a program “end time” and request no cell phones or electronics. We estimate the experience to be approximately 3-5 hours in length. We will have someone taking digital photos as a keepsake. Spaces are limited to keep the experience intimate – book now. Upon registration, we will forward you a waiver to sign. BOOK NOW, spaces are limited.